I rarely buy supermarket pizzas, this one I first tried after finding it in the Whoops.... section. I love a good Whoopsie bargain. On the box it looks appealing, I don't think that they'd let it look like a dog's dinner on the box. So how does it stand-up to the box? I have found on the times I have bought it that the toppings have slid off the base. I have transported it straight, on a side and generally thrown it around. Not once has it arrived without needing a makeover before going in the oven. Taste-wise it's got a kick. Not a huge one, but enough to know that the mini meatballs are there. 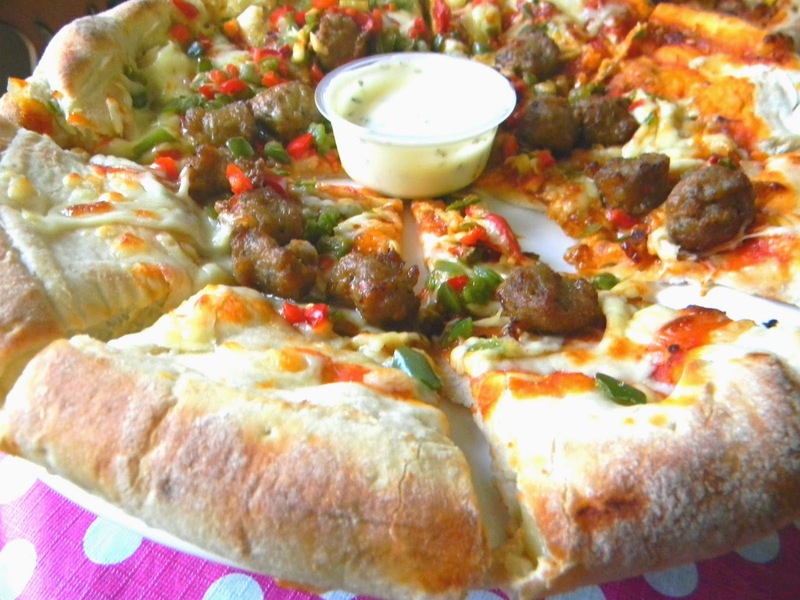 The garlic & herb dip is a great complimentary side for this. Even my non-spicy child demolishes this when I serve it up for tea. 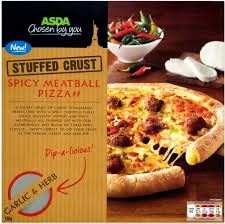 There is a mildly spiced tomato base with a smattering of cheese on top on which the mini meatballs sit. Overall totally worth the £3.50 it costs.